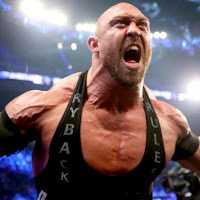 On a recent episode of his Conversation With The Big Guy podcast, Ryback discussed what he would've done differently early in his WWE career. He said the main thing he would change was his loss to then-WWE Champion CM Punk. Ryback believes that moment put an end to his push and he was never able to recapture the momentum he had when he first debuted because the WWE never fully got behind him after that point. "I could have done a million different things. When I first got put into the main event, the first thing they should have done is that I shouldn't have lost when I did with CM Punk. I should have never been put in that position with the momentum that we had. We had that for about 7, 8 months after that. Or, you avoid putting me into that position altogether and you continue to build me up and letting the process naturally evolve. That was about it. It's not rocket science. We had lightning in a bottle, and they decided to let it out, and that is all there is to it," Ryback said. "That could be recaptured in the right situation again, but you have to have both sides going for the same goal. If they're not, then s**t happens. Everything was great, and there were good moments from that run, but anybody that knows anything about pro wrestling knows that it was all by design. It is what it is, it was a great learning experience, but who the f**k cares. It's all fake anyways." Ryback also discussed why there seems to be a disconnect between what fans want and what the WWE does. Ryback said for the company, it all comes down to making money and it's impossible to please everybody. He said he believes fans take it too seriously and they should stop wasting time being outraged because at the end of the day, there are more important things in life. "I only think there is an outrage with a small percentage online where everyone migrates towards each other. The noise gets louder because they are all talking to each other, and are screaming to be heard. You aren't going to please everybody. There are trillions of people on the planet. They have a product, and are making money obviously," Ryback said. "They have a system that they have in place where they want an emphasis on the brand and not on an individual superstar. They know what exactly they are doing. When people are hot and cold, they know what they are doing and when they are doing it and know why they are doing it. They have an exact system in place. The brand makes money and you are never going to please everybody anyways. Even when they go in a direction where they put the championship on AJ Styles, you are going to have people that are going to be pissed off. They would say that Nakamura should be champion, etc. There's always going to be people that are going to be outraged no matter what they do. "My thing is enjoy it for what it is, it's fake fighting," he continued. "You have to look in the mirror and ask yourself why am I getting so upset. They take it too seriously. The energy spent is real as far as effort into the ring, but everything else is fake. Focus on what you like and then guess what? When it shuts off, don't think about it. Go enjoy your life and try to better yourself. If you are worried about decisions that this company is making when it's not on, I can tell you one thing, your life is not where it should be, straight up. It's like people attacking and judging other people, why are you attacking and judging other people? Just focus on being a better person."